A lot of birds. Photos taken all over South Texas, from the lower Rio Grande valley to the Victoria area. Falcon State Park, Choke Canyon State Park, Goose Island State Park, Rockport Beach Park, Port Aransas to name a few. And Aransas NWR - located about an hour north of Corpus Christi. 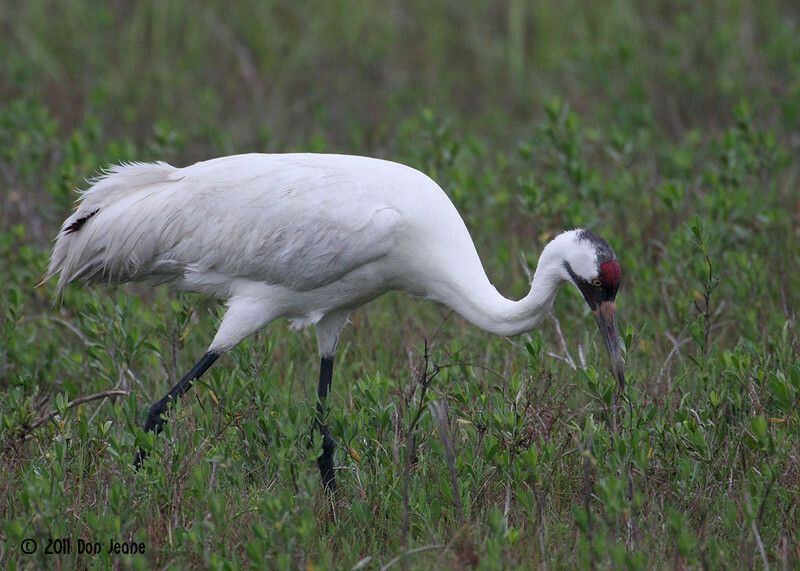 It is the winter home of the endangered Whooping Crane. If you want to see the Whooping Cranes, then Tommy Moore on the Skimmer out of Fulton is a good choice. But if you want to Photograph the birds, you need to get closer and stay longer. I highly recommend Kevin Simms on the Jack Flash out of a small marina just north of the Copano Bay bridge - http://www.texasbirdingphotos.com. Whooping Crane, Intracoastal Waterway, 3/18/11.